This enjoyable mystery written by a talented young Canadian author came to my attention thanks to a one minute book review on WDCB radio. 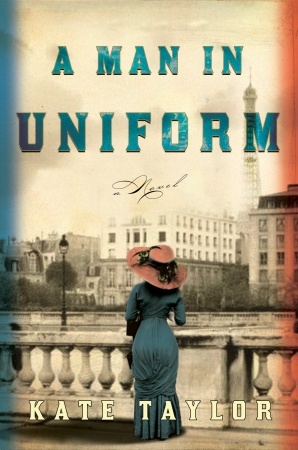 A Man in Uniform by Kate Taylor takes place in Paris in the late 1800’s and centers around a man who has been falsely accused of espionage and sent to Devil’s Island. A mysterious woman in black presents his case to a Parisian lawyer whose practice normally deals with mundane legal cases, but his secret past and passion for justice leads him on an intriguing path paved with suicides, murder, and government cover-ups. The story moves along quickly and kept my interest throughout. It provided me with a few evenings of non-stop reading as I got caught up in the story and couldn’t wait to know how it would end. Oh how I love stories based in France! This entry was posted in Uncategorized and tagged Books, Kate Taylor, Paris. Bookmark the permalink.